Jasmine and Deana, August 2014. It’s been a busy summer at PHS, what with the General Assembly , our first foray into digitizing church records , and the planning of our September 20th event, "In the Midst of Them: Shaping Sacred Spaces. " Amid all this activity we wanted to catch you up on some staff developments that have helped the Society to share more history and preserve more records and unique documents—all while charting a sound financial course. In May, Jasmine Clark joined our staff as a part-time Archivist Technician. Jasmine is helping to scan many types of items, including the Kellersberger scrapbook ; to reshelve items; and to post images on our soon-to-launch Instagram  feed (more on our new social media ventures in a future post). Jasmine has a unique enthusiasm and efficiency for every task she encounters. In addition to working at PHS, she is an administrative assistant at the Athenaeum and will be starting library school at Drexel this fall. Deana Stuart was hired in August as PHS Development Assistant. Deana, who previously worked for Ancestry.com, will also be helping PHS boost its social media presence, through Twitter  and Instagram, in addition to ensuring accurate data entry, assisting with special events, and supporting other departmental activities. She approaches her work with warmth and determination—oh, and she’s a professionally trained archivist, which we can never have too many of in these parts! Already she’s been helping to process Japan Mission papers and assist with the Missionary Database (Record Group 424) . Charlotte making housings, July 2014. In August, we bid a fond farewell to our summer intern, Charlotte Kirkby. Charlotte left to complete her final semester at Rutgers University, where she is pursuing a Master's degree in Library and Information Science (MLIS) with a focus on archives. Among the many projects she worked on at PHS, Charlotte organized, re-housed, and described twenty boxes of American Waldensian Society  records, which more than doubled the size of the existing collection; she also copy-cataloged more than 300 twentieth-century monographs for our Foreign Mission Library and created many custom housings for rare and fragile books. 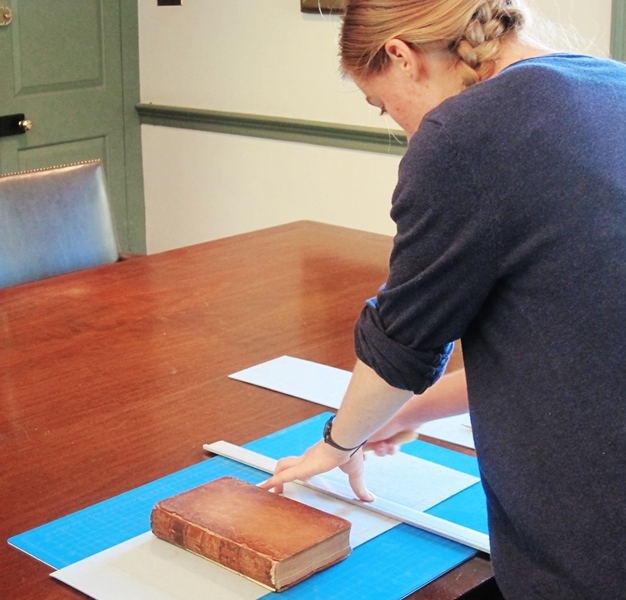 Upon graduation from Rutgers, she hopes to find a position processing, arranging, and describing archival collections. We wish Charlotte the best of luck in all her future endeavors! 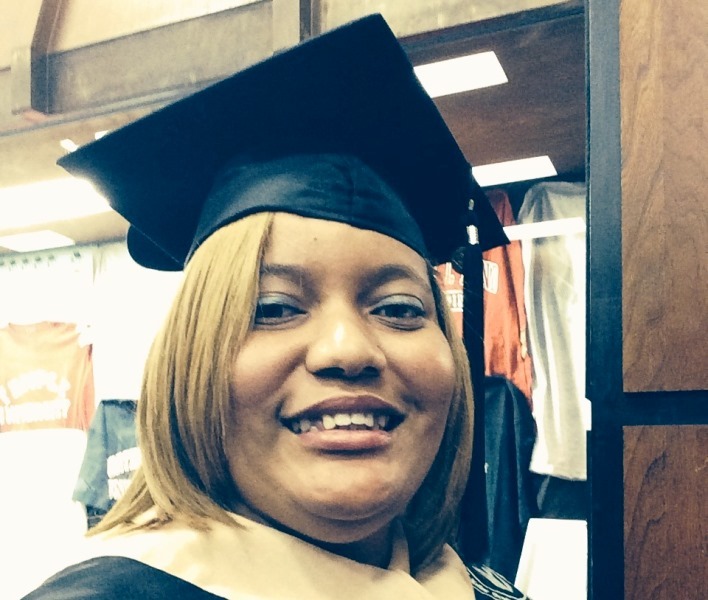 Last, but in no way least, is the news that Takiyah Cuyler, our Associate for Administration and Finance, received her Master of Business Administration degree this summer from DeVry University. Takiyah has been working on her degree for two-and-a-half years—all while working full time at PHS (a balancing of many books, that). Please join us in congratulating her on this wonderful accomplishment! Takiyah is an MBA! Summer 2014.